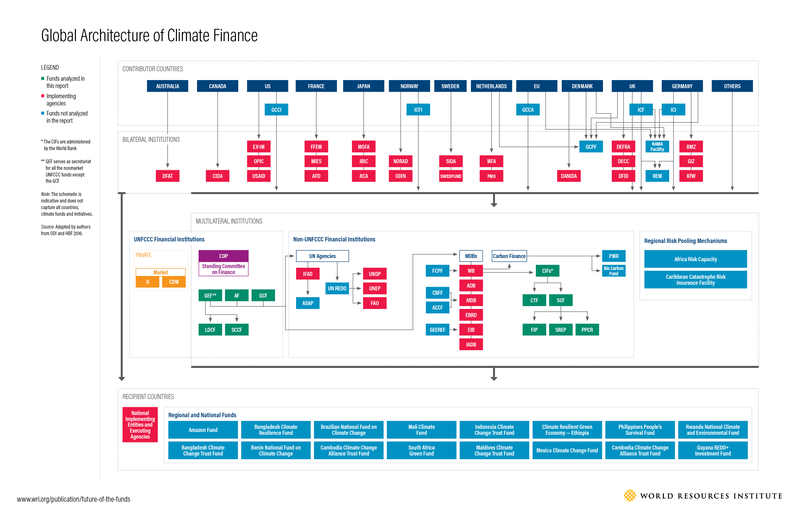 The climate finance architecture—the system of specialized, public funds that help countries implement climate mitigation and adaptation projects and programs—is crucial if the world is to meet the climate change challenge. Over the past 25 years, many national, regional and international climate funds have been created. Each new fund responded to needs and gaps that existed at the time, but this has led to a rather complex system.